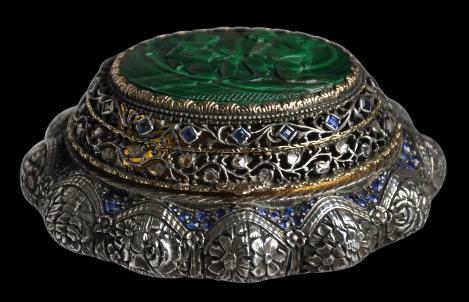 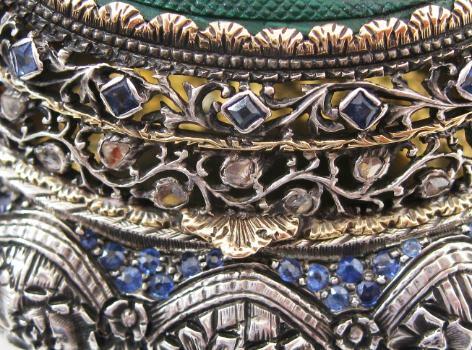 This extraordinary box features some of the finest silverwork encountered. 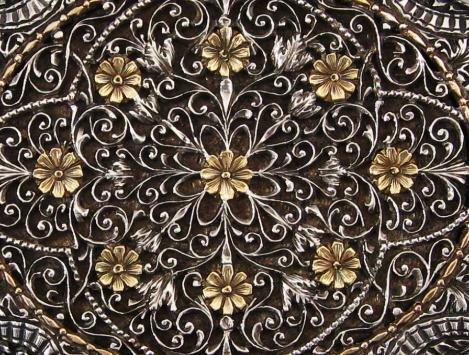 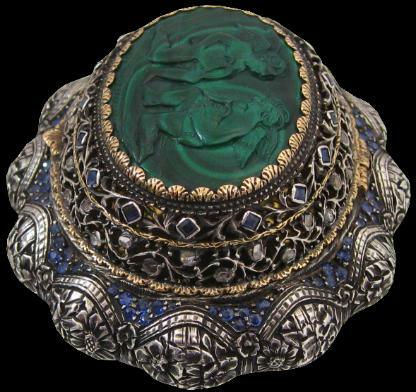 The twelve lobed sides are chased with roses and other flowerheads – work that is similar to the hilts of more elaborate Ceylonese piha-kaetta knives. 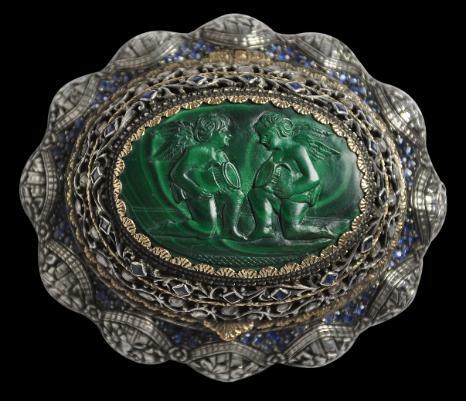 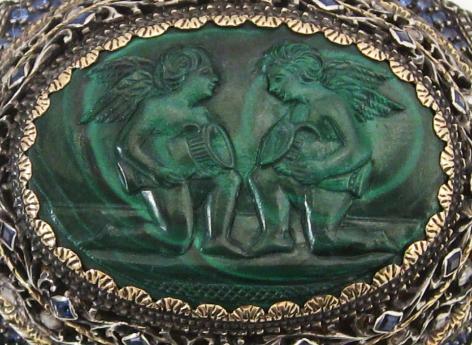 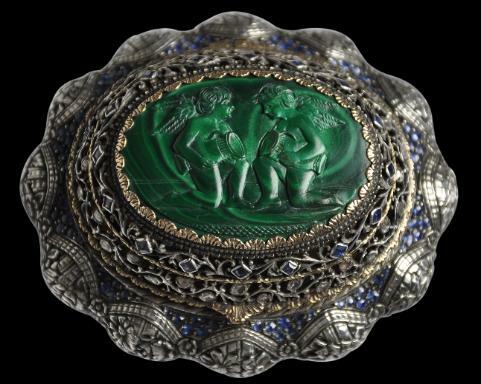 (See lot 64, Bonhams, ‘Antique Arms & Armour’, Knightsbridge, April 22, 2009 for an example.) 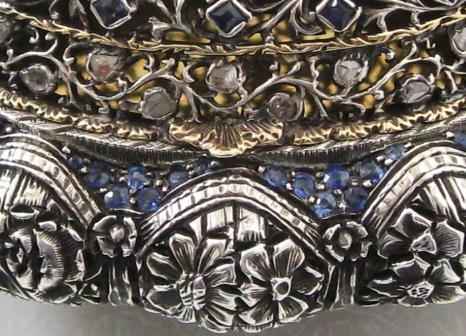 The spaces between the lobes are infilled with almost one hundred carefully-matched faceted sapphires. 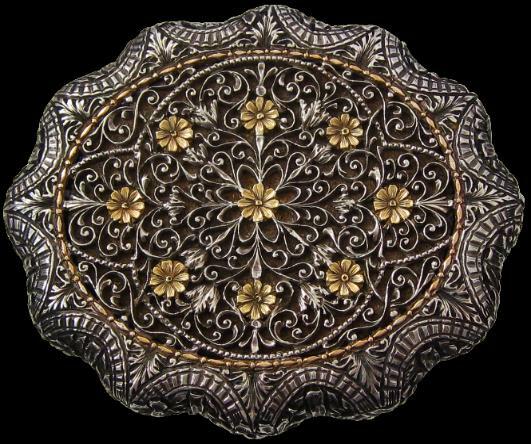 The base features a rosette of extraordinarily-fine parcel-gilt filigree scrolling foliage work set with engraved gilded flowers over a finely-tooled gilt backing plate – work that is reminiscent of 17th and 18th century silver-gilt filigree Goa stone or bezoar boxes produced in Goa, West India – all within elaborate filigree parcel-gilt borders. 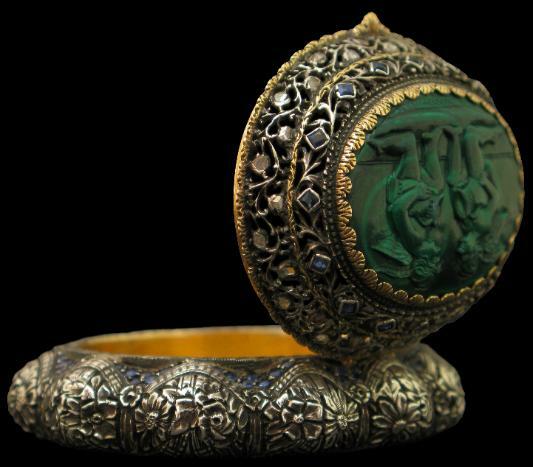 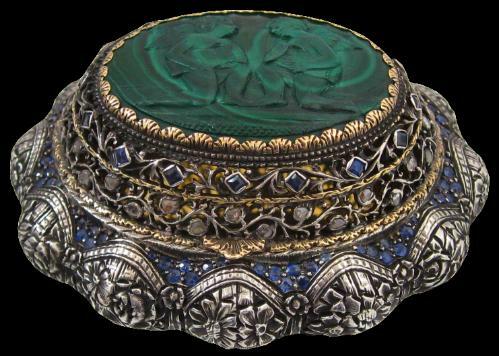 The box would have been ideal for holding cloves or some other strong-smelling spice – spices that were grown in southern India and Ceylon – ideal for use as a pomander or as a localised version of a vinaigrette.